nothing about us without us – " Making informed decisions "
In its simplest form vaping products produce an inhalable vapour which may or may not contain nicotine, as opposed to tobacco products which produce smoke. At this point in time there are two types of vapour delivery, ELV’s produced by independent companies and the tobacco industry, and HnB, produced exclusively by a tobacco company. There is confusion in some quarters as to what these products are. The most popular vaping devices, by far, are ELV’s. These are used as a pleasurable alternative to smoking by many millions of consumers worldwide. They are very simple devices which heat a liquid consisting of, propylene glycol, vegetable glycerine, sometimes nicotine, and food grade flavourings. That is it! HnB is very different to ELV’s. The main difference is that HnB products heat a mixture that contains tobacco and other products yet to be defined to produce an aerosol. HnB is a tobacco product whereas with ELV’s there is no generic connection to the tobacco plant other than, sometimes, the inclusion of nicotine. To put this another way, ELV’s are no more a tobacco product than an orange drink with sugar added is a sugar product – because of the health industries obsession with nicotine, all vaping products containing nicotine, and even those which do not, are deemed as tobacco products. The THRA statement then moved on to address the number of concerns associated with vaping products, pointing out that scientific research has shown that e-cigarettes do not contain the deadly substances found in cigarettes and hence they should be considered as safer alternatives. Subsequently, the statement referred to a number of studies, which clearly indicate that vaping is significantly safer than smoking and should be considered as a harm reduction practice for smokers. “And now ‘real’ evidence is beginning to emerge. The following refers to a study which is thought to be the first looking at long-term vaping outcomes in “real world” users. The study which assures us of the minimal risk inherent in ELV use and was by researchers from a number of institutions, including University College London, and the Roswell Park Cancer Institute and Centers for Disease Control and Prevention (both in the US). What is very interesting about this study is the way in which it has been reported. Its weaknesses have been deliberately highlighted: The audience is clearly informed about recall bias and confounding. You can see this in the UK National Health Service publication, “Long-term vaping ‘far safer than smoking’ says ‘landmark’ study.” (here). So, it is a landmark study, not just because it was the first of its kind, but because it demonstrates a degree of honesty not to be found in ‘studies’ proclaiming harms from ELV use. Popcorn lung? Formaldehyde? Youth Vaping? 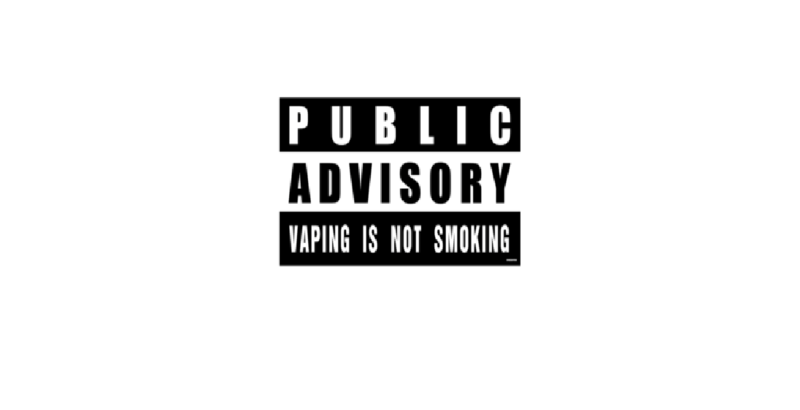 The THRA proceeded to list a number of unsound accusations that have been directed at vaping products, and that are still circulating and informing policy around the world, despite being disproved. “There has been a tsunami of accusations purporting to be evidence of harm from ELV use. In fact, all it amounts to is wave after wave of headline generating, click-bait rubbish. Let us not forget the confusion being created by the classification of a product that contains no tobacco as a tobacco product thereby allowing the claim that tobacco use is increasing among the young – of course it is – when you add vaping to smoking rates, but when taken separately, smoking activity is falling at an unprecedented rate. 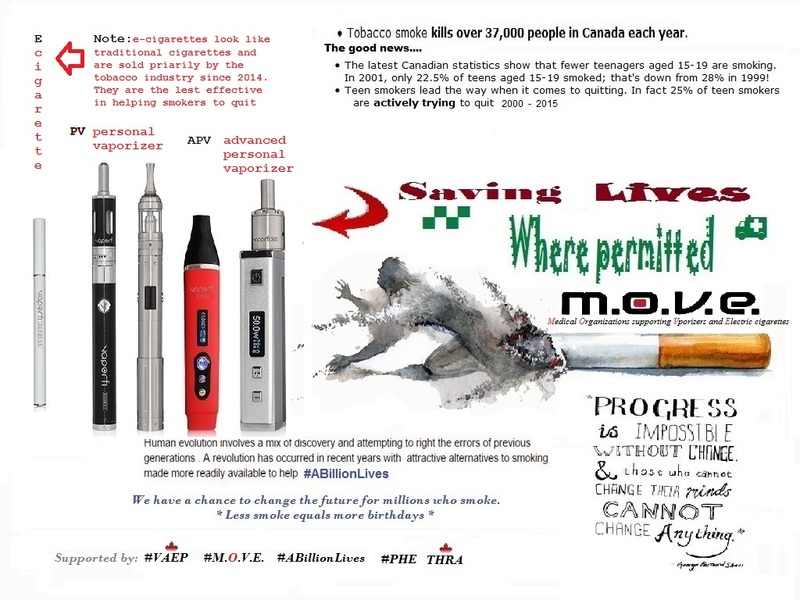 And so, it goes on, and it is the role of The Tobacco Harm Reduction Association of Canada (THRA), as with other consumer organizations, to attempt to educate the public so that they can choose a safer alternative to smoking if they so wish. The Harm Reduction Association then turned its attention to HnBs, pointing out that despite not being as safe as e-cigarettes, they are still safer than regular cigarettes, and should therefore be also endorsed as safer alternatives and be made available to those who wish to use them for smoking cessation. 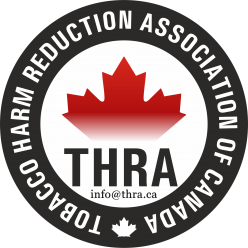 The position of THRA with respect to any product there has to be harm reduction. If a product replaces smoking and is safer than smoking it should be endorsed. However, there are degrees of safety and there are issues pertaining to availability and choice. That HnB is safer than smoking is not in question. The manufacturers of the products estimate that they are approximately 80% safer than cigarette smoking. The fact that these devices heat tobacco and operate at higher temperatures than ELV’s probably accounts for reduced safety levels in comparison to ELV’s which are estimated to be at least 95% safer by Public Health England. THRA will not actively promote HnB as things stand because ELV’s are the safest alternative to smoking. But this is not the real issue. The THRA concluded by explaining the current regulatory atmosphere, pointing out that certain countries have created regulations that are making it easy for the tobacco industry to thrive and impossible for the harm reduction-focused vaping industry to truly have a chance to succeed. “Many vapers worry about the power of the tobacco industry. They worry that corporate tobacco will use its financial muscle to damage / absorb the small, independent ELV industry – this is normal in any market and it is up to the independents to maintain the highest standards and use the tobacco industry’s inability to create variety against it. Big Tobacco’s most aggressive moves in the vaping space have yet to come however the stock market’s reaction to the realization as to how deep vaping has cut into Big Tobacco’s current and future market share will hasten a new war on ELV’s. That limit the ability of manufacturers and retailers to deliver accurate information about their products. The association emphasized that unlike Tobacco Control organizations it will not stand for the spreading of misinformation and the use of scare tactics, but will promote science-based facts and strive to spread the truth about safer alternatives. “What THRA will not countenance is the adoption of the language and tactics of Tobacco Control – They are destructive and ultimately self-defeating. THRA, unlike Tobacco Control, will not resort to the bullying and harassment of smokers in order to make them quit. It will never be guilty of mission creep or allow itself to be ‘bought over’ or ‘captured’ in the way that Tobacco Control and other health agencies have. Also, say something on how the ‘we do not know enough yet’ argument is a spurious one: That there is a great deal we do know about vaping: That we do not know about long term issues BUT IT IS ESTIMATED THAT THEY ARE NOT LIKELY TO BE MAJOR. In the meantime, those who continue to smoke will continue to suffer. This contains the main points in summary form. We are continually redesigning our website for easier access to information and membership access. For now some of our content may be accessible to members only. Please visit back often as we continually update news and facts on Harm Reduction . It is widely acknowledged that discontinuation of all tobacco products confers the greatest lowering of risk. However, approved smoking cessation methods have a 90% failure rate, when used as directed. In addition, there is a considerable population of smokers who are unable or unwilling to achieve abstinence. Harm reduction is likely of substantial benefit to these smokers and public health. Providing reduced-harm alternatives to smokers is certain to result in lower total population risk than pursuing abstinence-only policies. We believe based upon recent clinical studies, research and interventions by professional Tobacco Control Specialist, that the over-all benefit to human suffering demands those opposing THR re-consider their motivation for opposing less harmful products. 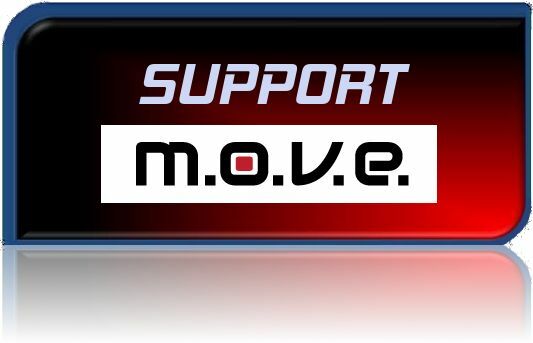 We further believe modern technology be utilized to significantly decrease such harms to smokers and that promotion of personal vaporizers PV’s or ENDS ( electronic nicotine deliver systems ) as they are referred to by opponents; be considered as a ” primary ” tool for smokers seeking to end their smoking addiction. 1. It is the combustion of tobacco and the 4000 chemical substances that are produced when smoking cigarettes that are harmful to health of smokers, not the nicotine. 2. The dangers of electronic cigarettes are considerably lower than those of tobacco. From analysis of the constituents of e-cigarette vapour, e-cigarettes can be expected to be at least 95 to 99% safer than smoking tobacco cigarettes in terms of long-term health risks. 3. The vapour exhaled from e-cigarette users is highly unlikely to be harmful to bystanders; nicotine concentrations in exhaled vapour are too low to have pharmacological effects on bystanders. 4. Randomised controlled trials show that e-cigarettes are effective in smoking cessation and studies of the use of e-cigarettes in real world settings show that they are more effective than other means for stopping smoking including Nicotine Replacement Therapy. 5. It is estimated that for every one million people who switch from smoking to electronic cigarettes, some 6000 premature deaths a year would be averted. 6. E-cigarettes do not renormalise smoking. Vaping is not smoking. In many countries the rise in e-cigarette use has been accompanied by a continued decline in tobacco sales and prevalence of smoking. In light of the numerous studies undertaken to date we as health professionals cannot remain passive in the face of the clear public health benefits of electronic cigarettes.